Originally released on The Gramophone of India label (now Saregama), this 1978 classic Bollywood soundtrack features songs from ‘Don’, an Indian thriller in which a ruthless gangster (Don) is killed during a scuffle with the police. Since only Officer D’Silva knows of this incident, he recruits look-alike Vijay to pose as the crime boss in order to catch his entire gang. Unfortunately for Vijay, the policeman dies during a raid, and with him the only evidence of the deception, leaving Vijay on the run from both police and Don’s gang as he desperately tries to prove his real identity. 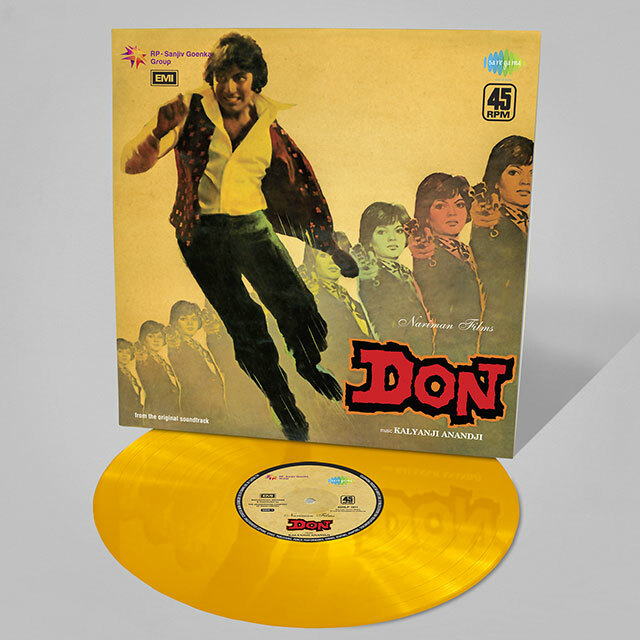 This is the first reissue of the original vinyl soundtrack, which notably features the song “Yeh Mera Dil Yaar Ka Diwana” sung by Asha Bhosle, which was sampled in the Black Eyed Peas song Don’t Phunk With My Heart (2005).